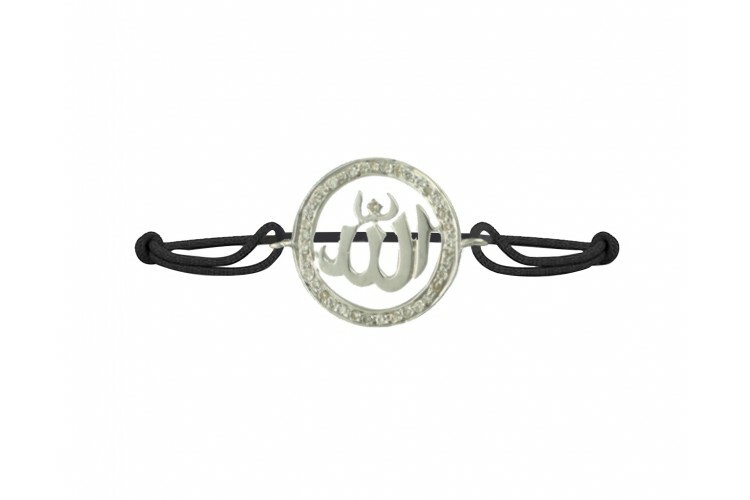 Buy this symbolic Allah bracelet is strung on double layered free size black nylon threads. It is studded in 92.5 Percent Silver with thirty-eight round brilliant cut certified diamonds. 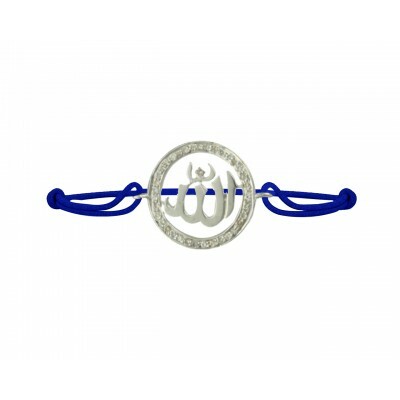 It is the most important symbol in the Muslim religion. The symbols stand for the Arabic word for the God and is derived from the al and ilah that means deity or god. It denotes peace, prosperity and good fortune for the followers of Allah. This bracelet in silver is best for daily wear. 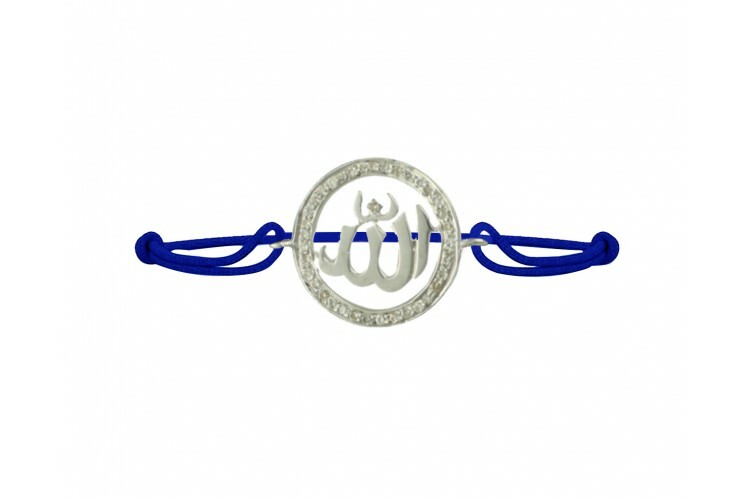 Add this symbolic bracelet to your collection of religious jewellery. --- Please Select --- Small 6.5" Medium 7.25" Large 8"